There are some skills that, if you don’t possess them later on in life, can limit your fun, and potentially put you in harm’s way. Swimming is one of these skills. It’s best to learn how to do it properly when you’re still young, as it can be challenging to pick up once fully grown. If you have children, then you’ll want to get them in the pool and thriving as soon as possible; below, we take a look at four ways you can achieve this goal. You know the benefit of swimming. Your child has no idea. 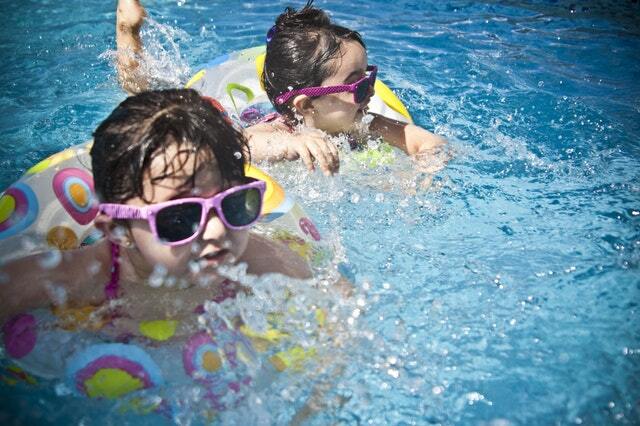 If they’re reluctant to get into the water, you won’t be helped them by pushing them into the deep end (literally!). If you’re noticing that they’re not all that enthusiastic to learn how to swim, take things easy. You can still visit the pool, but might want to rein in how often you go, and how hard you push. They’ll come round in their own time. If your child is reluctant, also think about why they might be this way. For starters, is the swimming pool an overly serious place? If everything’s stony-faced when you’re there, think about injecting a bit of fun into proceedings. Kids are much more motivated to do things - including learning - if they’re having a good time. At some point, you might have to accept that you’ve done all you can. You’re not a professional, after all! If you’ve hit a wall, then look at working with a professional. They’ll teach your child not only how to swim, but the correct techniques, best safety practices, and so on. Help keep your child safe while they’re in the water by completing a First Aid and CPR course from LIT First Aid & Lifeguard Training. You’ll hopefully never need to use your skills, but will be grateful you know them if you do.